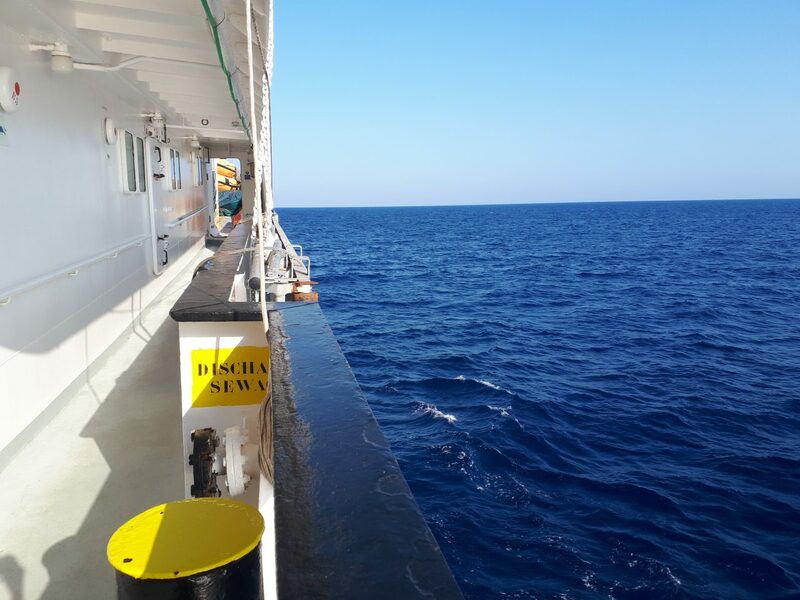 The charter party of the Aquarius terminated on the 31st of December 2018. 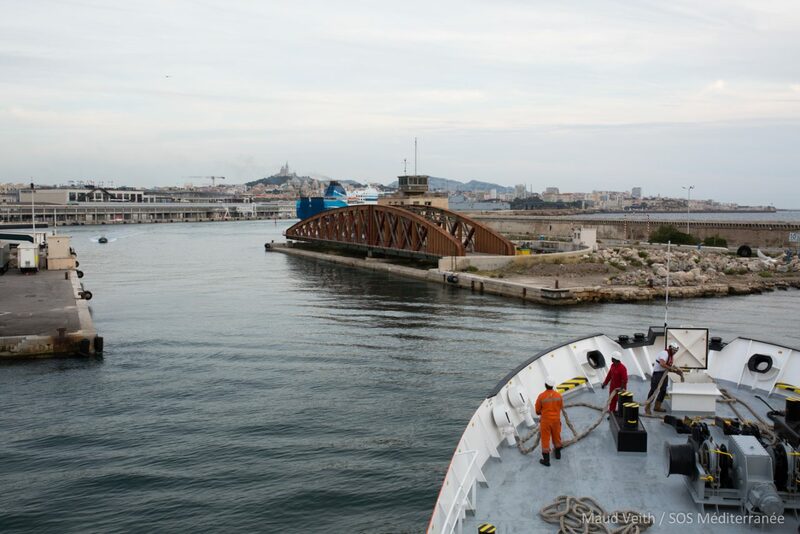 The ship had been demobilised in the port of Marseille and returned in its initial state to its owner, Jasmund Shipping. 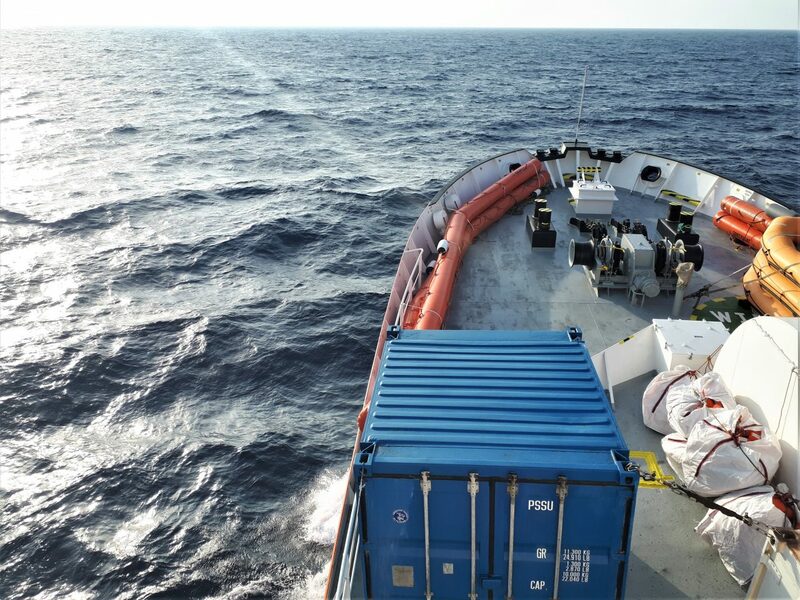 Specific material that was added to the Aquarius was stored in order to be reused on the next ship. 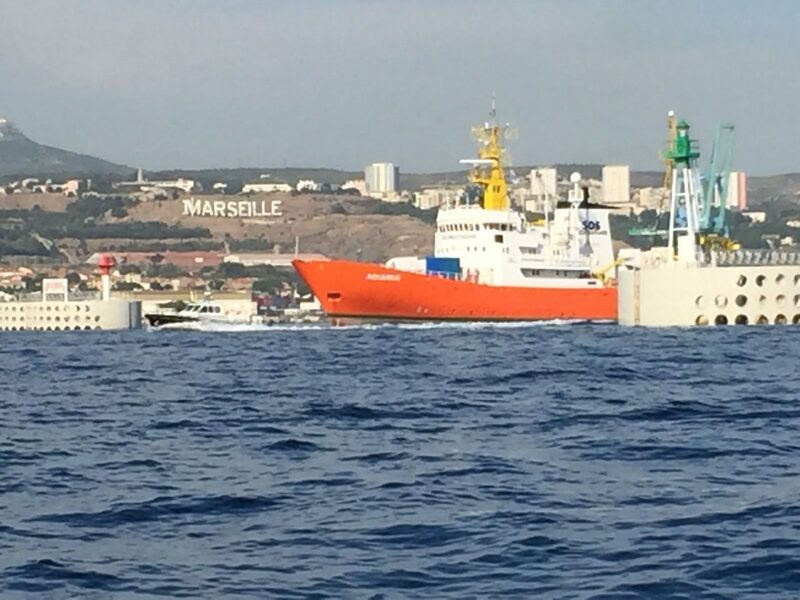 The Aquarius is being demobilised to be returned in its initial state to its owner Jasmund Shipping. 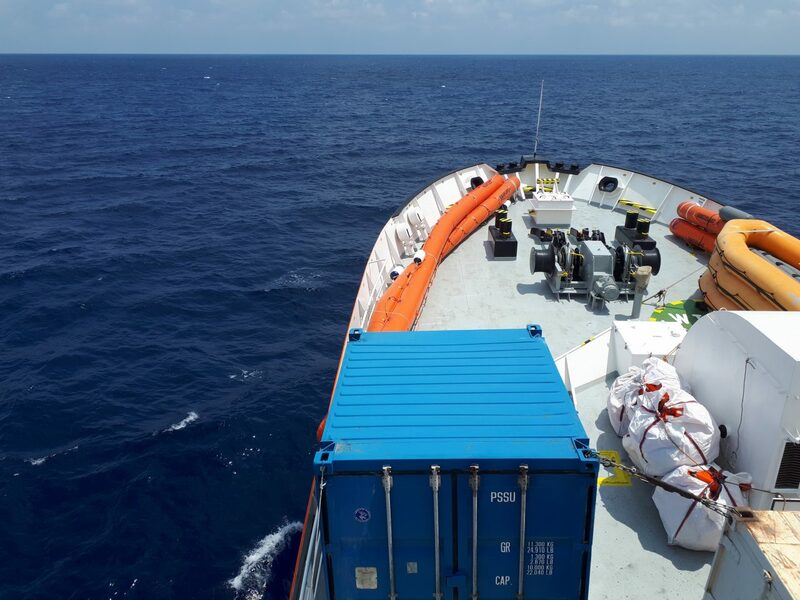 Specific material that was added to the Aquarius is being stored in order to be reused on the next ship. 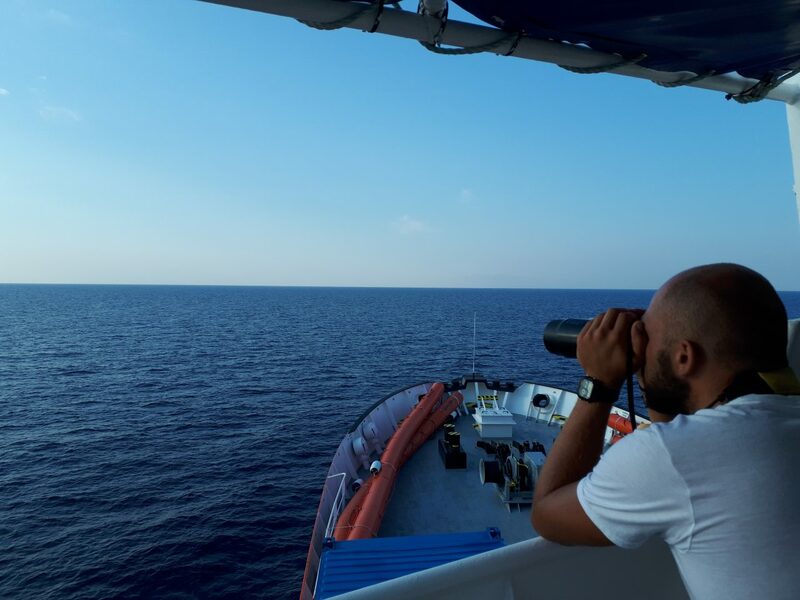 Aquarius is currently patrolling in international waters, in the Libyan Search and Rescue Region north of Sabratah and heading towards the west. 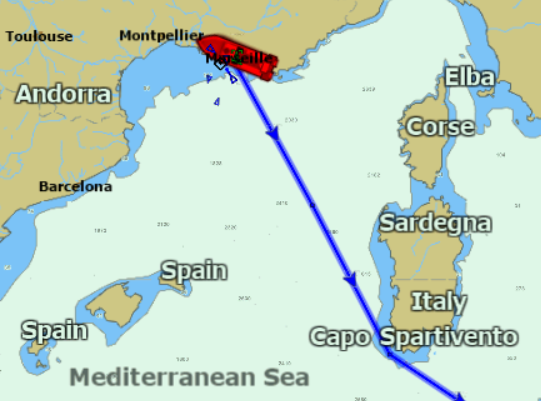 Aquarius’ speed is of 8 knots and its position is 33°15’85 N, 012°25’26 E.
Airplane Colibri calls Aquarius by radio to inform of the end of their patrol. 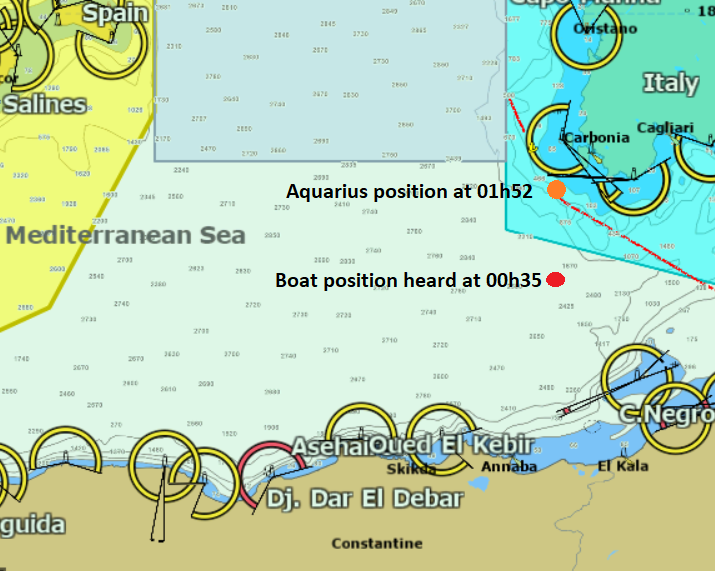 Aquarius’ position is 33°21’6 N, 012°12’9 E.
Colibri calls Aquarius via radio to inform they will be proceeding East of Aquarius’ position for their patrol. 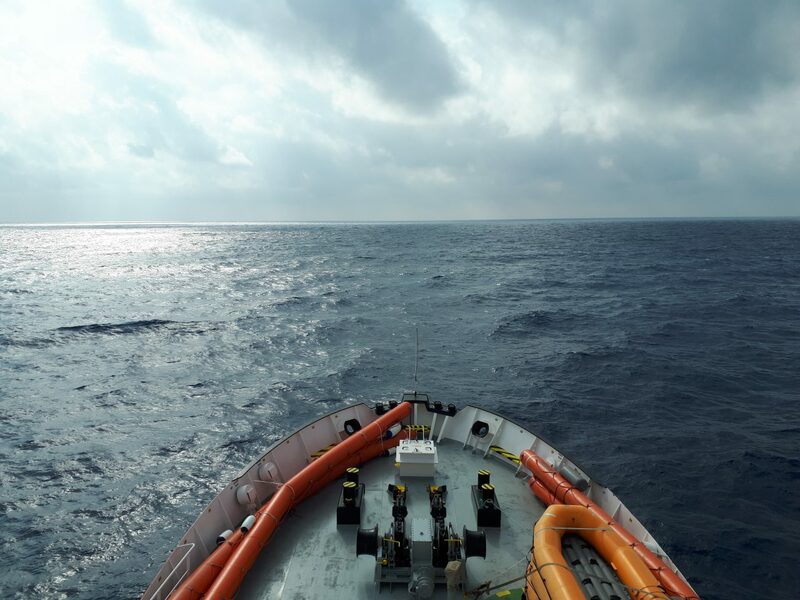 Aquarius’ position is 33°29.5820′ N 11°53.4730′ E.
Easy 1, Easy 2 and Easy 3 recovered, Aquarius resumes its voyage towards the patrol area, ca. 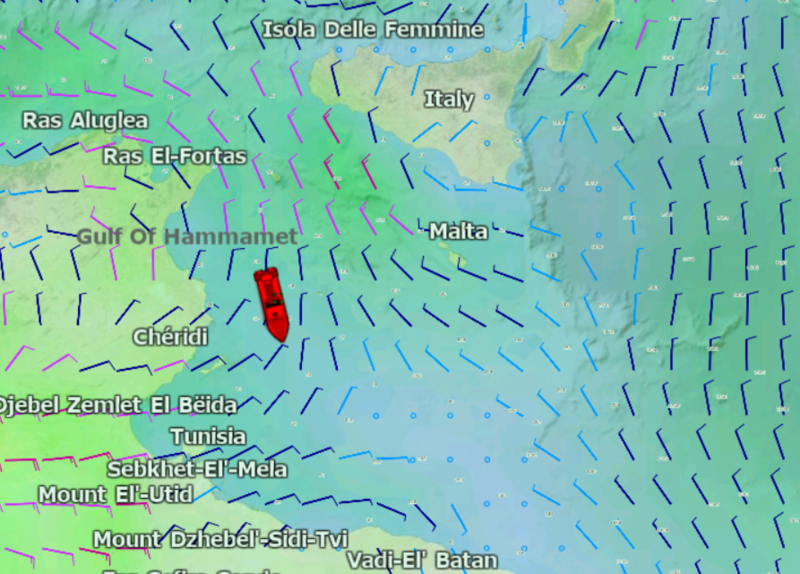 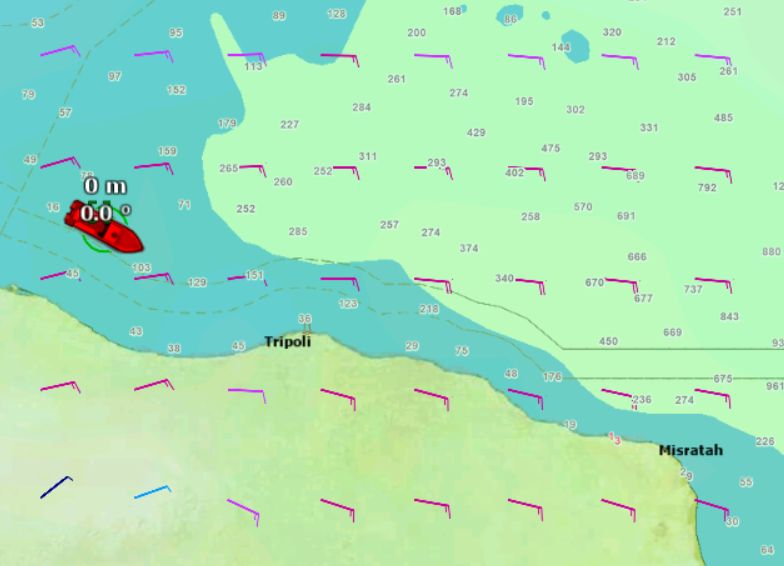 30 NM off the Libyan coast. 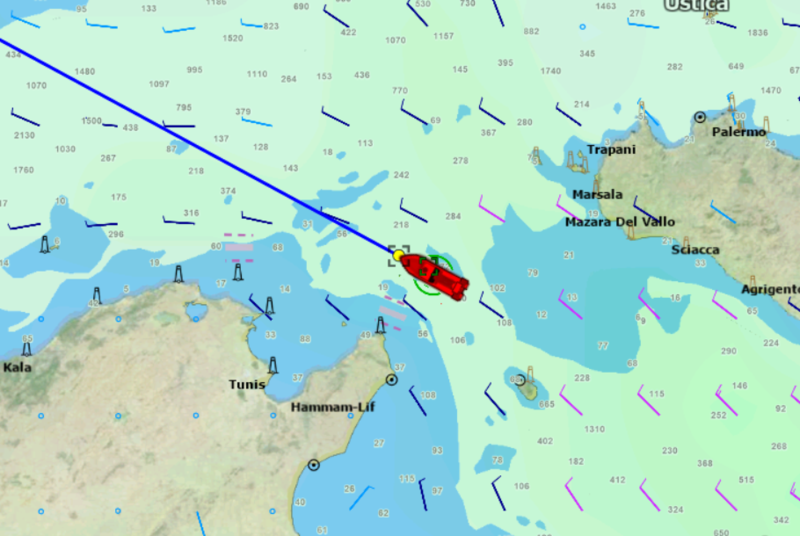 Aquarius halts navigation at position 34°07.11 N, 12°11.93 E. RHIBs Easy 1, Easy 2 and Easy 3 are launched and mass flotation devices are used in a practice rescue operation. 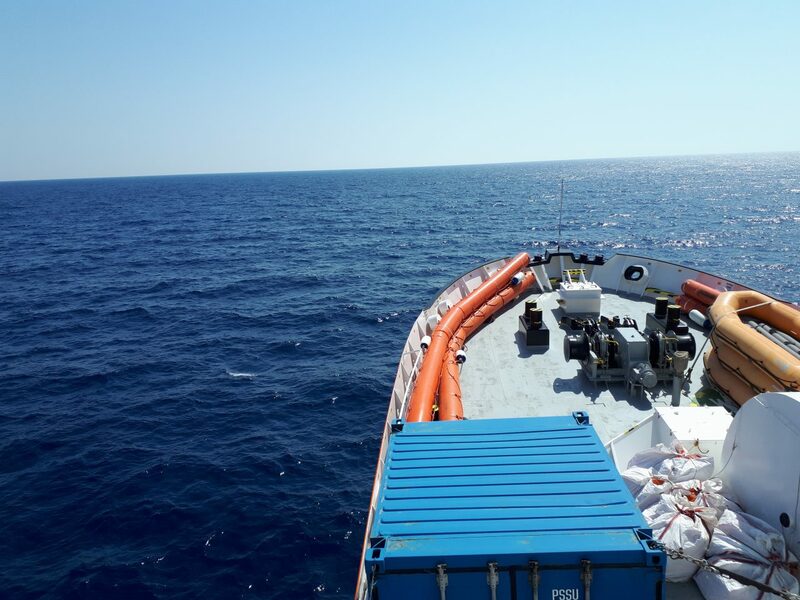 Upon entering the Libyan Search and Rescue Region, Aquarius sends a notice to the Libyan JRCC, informing of the vessel’s readiness to conduct SAR operations. 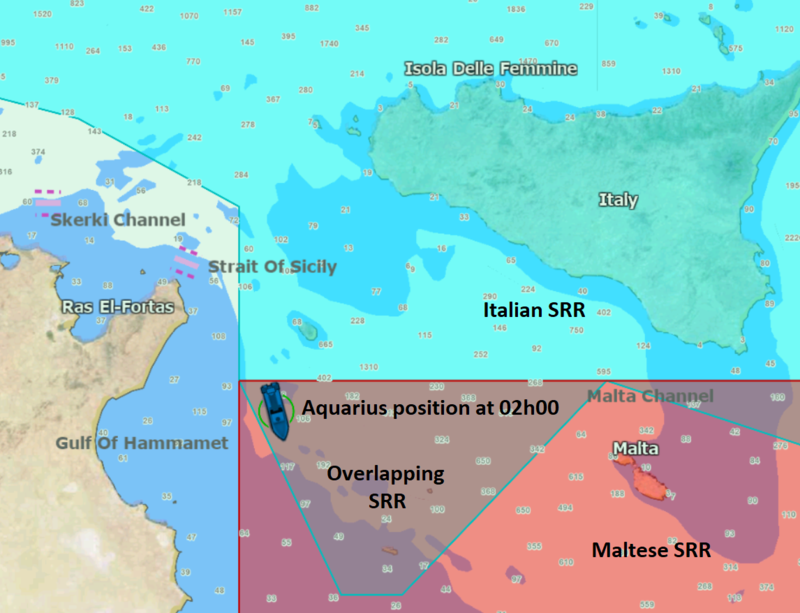 Italian MRCC, Maltese MRCC, Tunisian MRCC and EUNAVFOR Med are also informed. 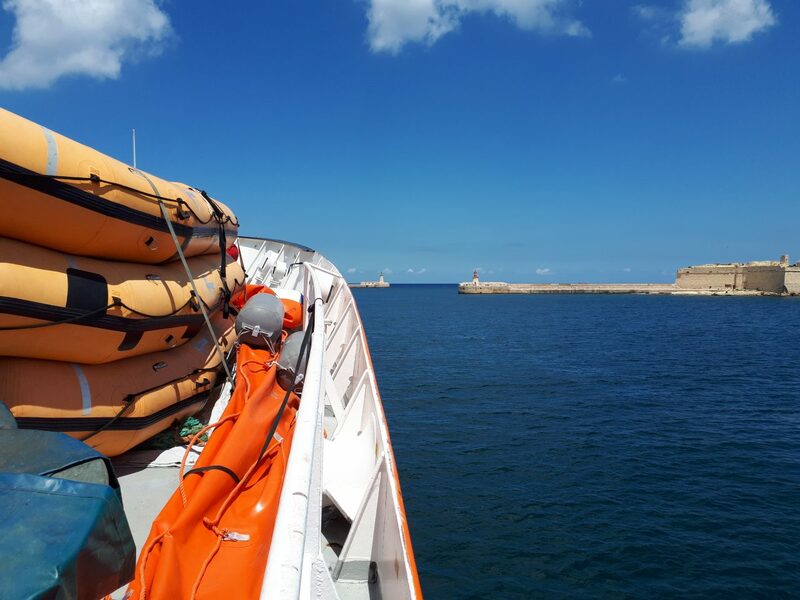 Aquarius additionally provides the vessel’s technical specifications. 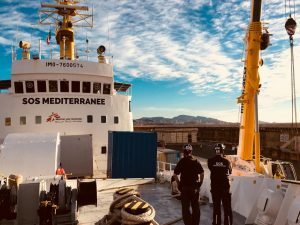 “MV AQUARIUS declares readiness for SAR operations in the Central Mediterranean Sea, south of Lampedusa and Malta, outside of Libyan Territorial Waters. 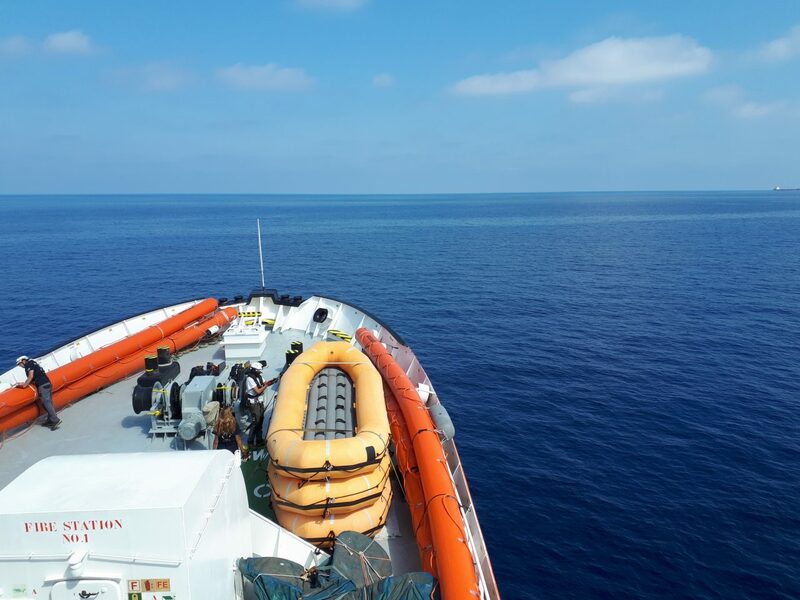 Aquarius enters the Libyan Search and Rescue Region (SRR), in international waters. 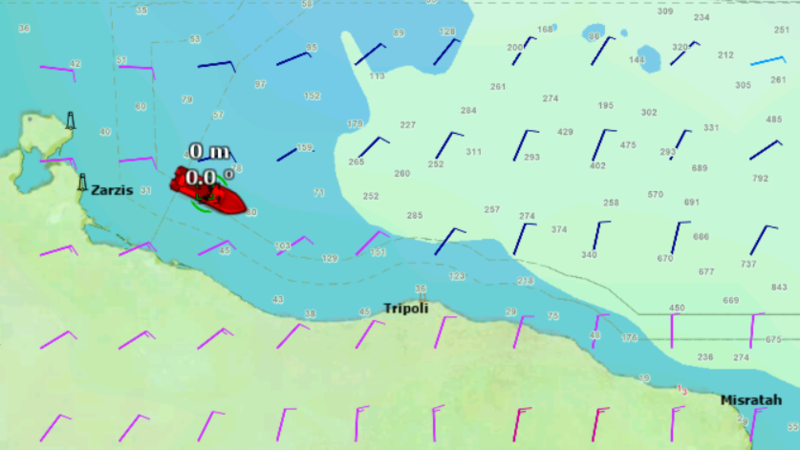 Aquarius’ current position is 34°20.4930′ N, 12°09.0280′ E.
Aquarius goes to three engines, increasing speed to arrive as fast as possible in the Libyan SRR. 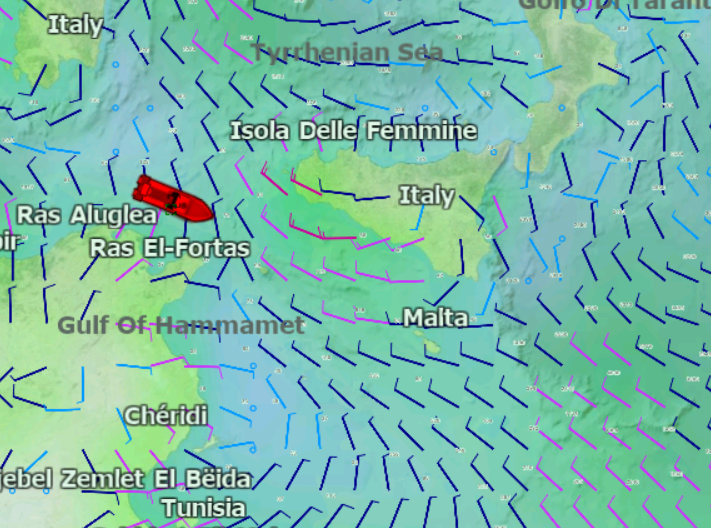 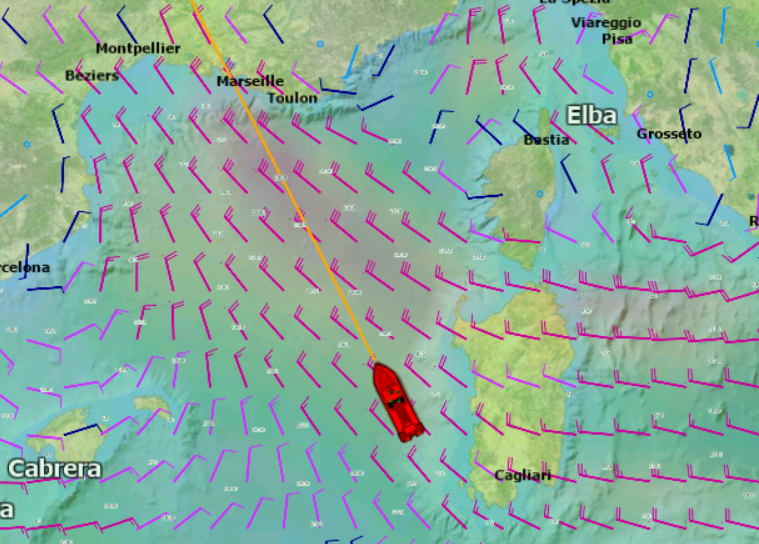 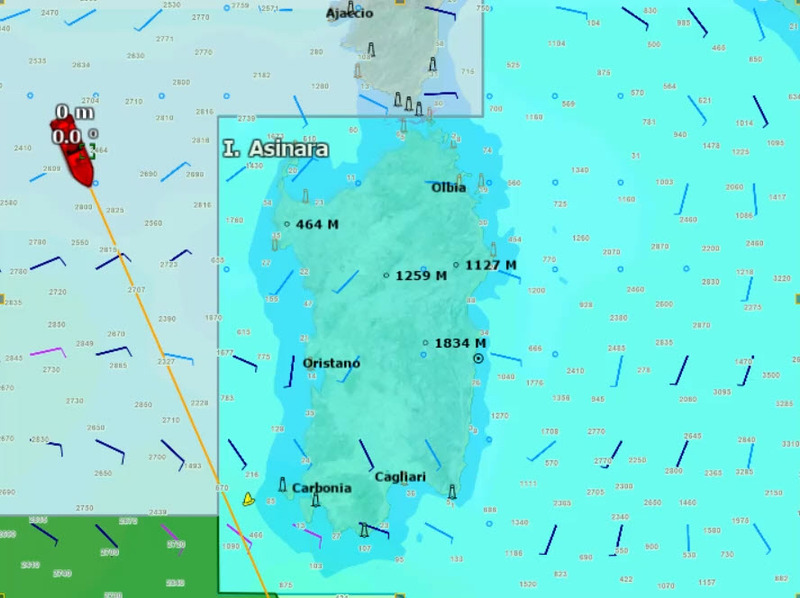 Aquarius is currently sailing off the western coast of Sardinia, heading south at a speed of 9.6 knots. 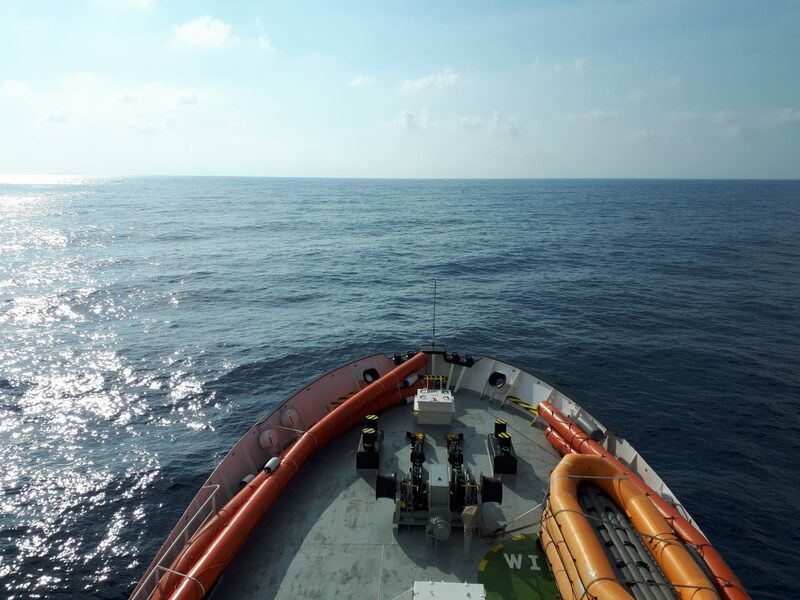 Current position is 41°05.26′ N, 006°40.00′ E.
The survey has been completed, leading Aquarius to set sail in fulfillment of Panama’s regulation requirements. 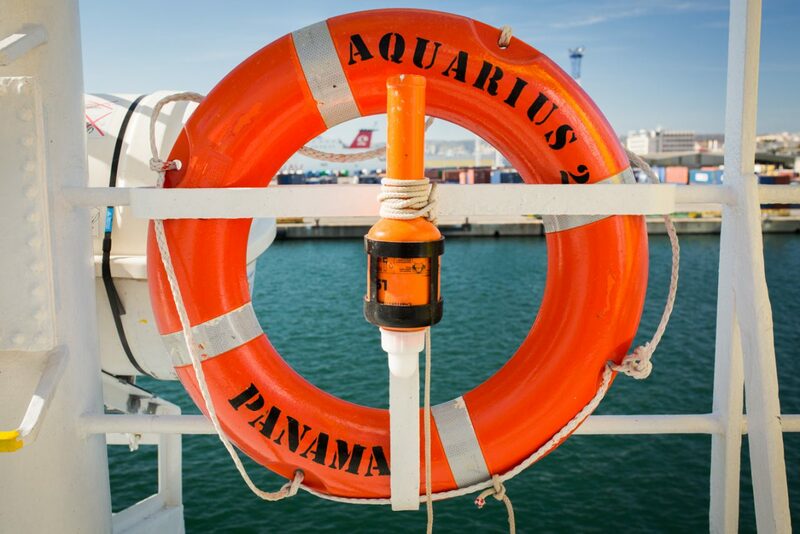 The official name of Aquarius is now “Aquarius 2” as “Aquarius” was already taken in the Panama register. 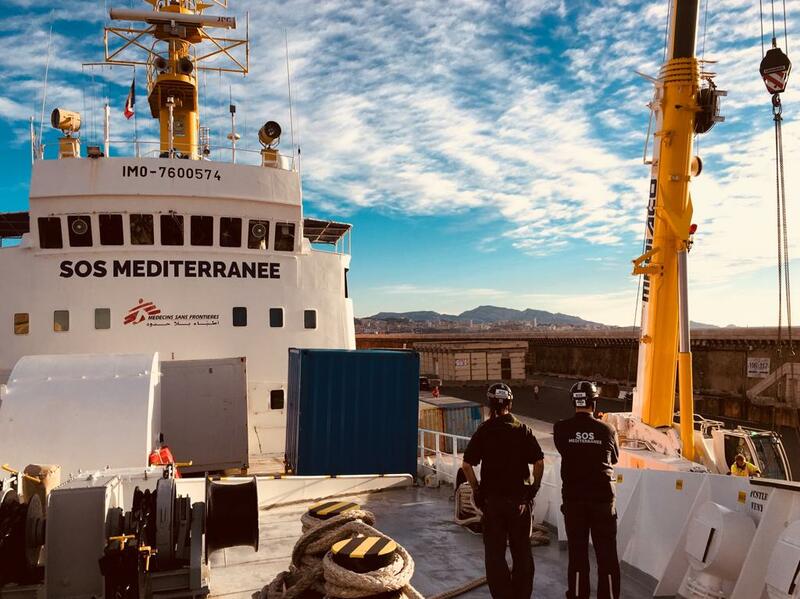 The inspection of Aquarius is made in accordance with the Paris and Mediterranean Memoranda of Understanding on Port State Control. 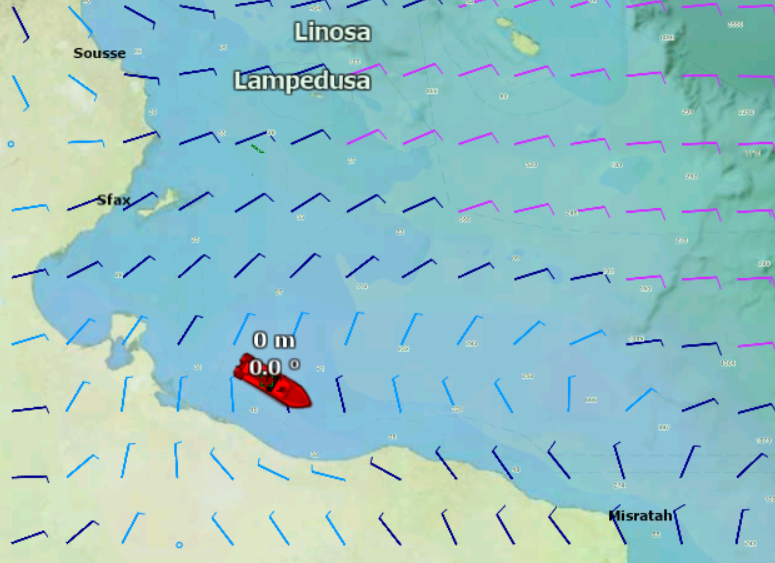 Aquarius is approached at 50-60 meters distance by a speedboat coming alongside the Aquarius. 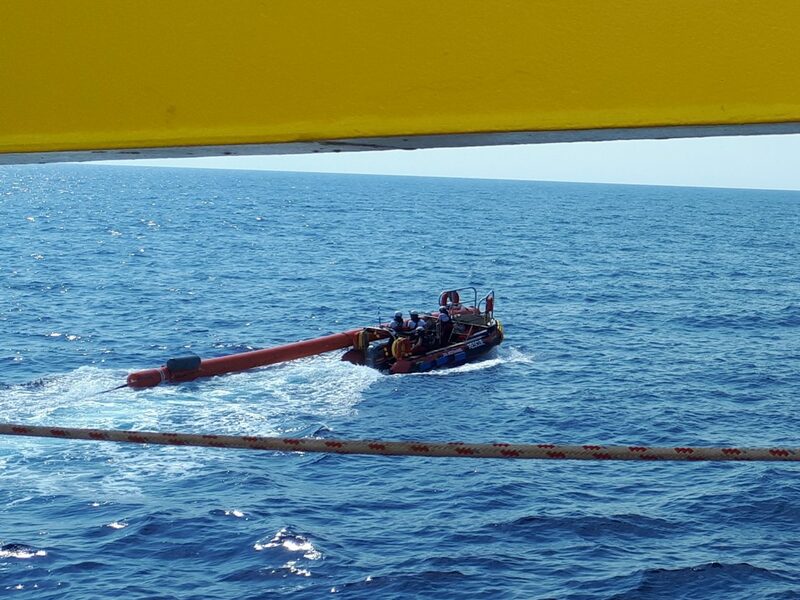 There are 4 individuals on board, not wearing a uniform. 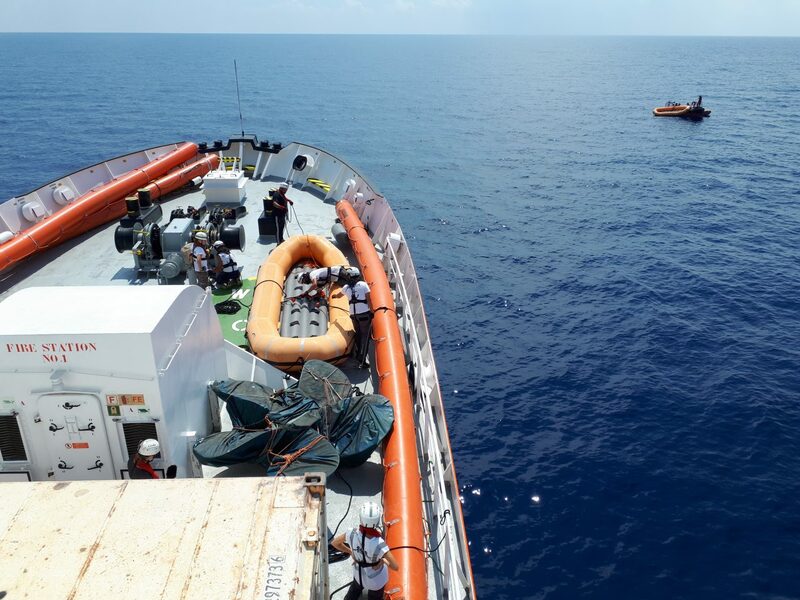 They wave towards the Aquarius. 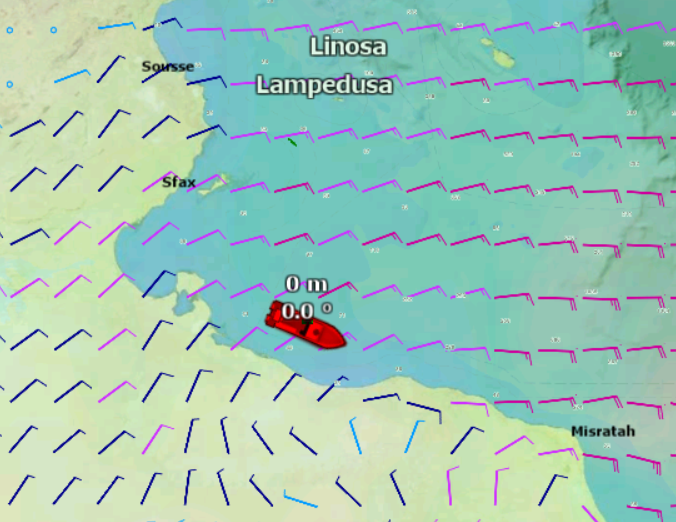 The speedboat passes the bow, turns around and sails further away, next to a fishing vessel, where it remains for around 15 minutes. 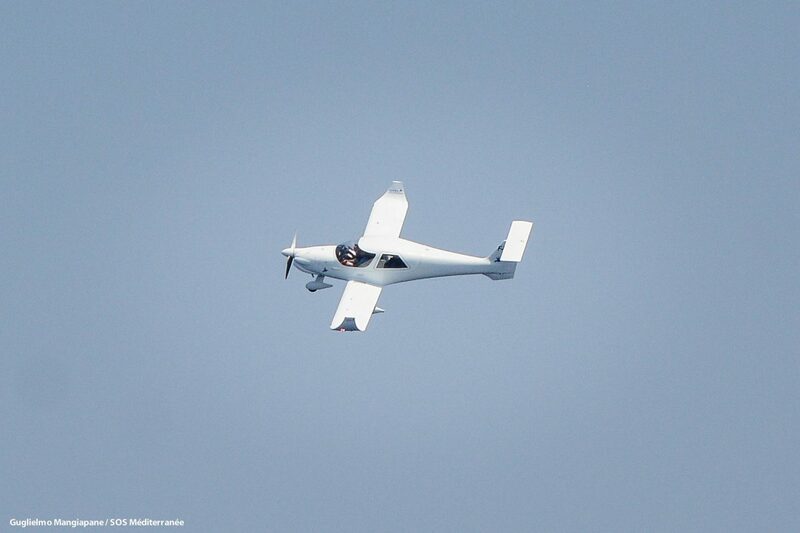 Colibri flies over the area patrolled by Aquarius. 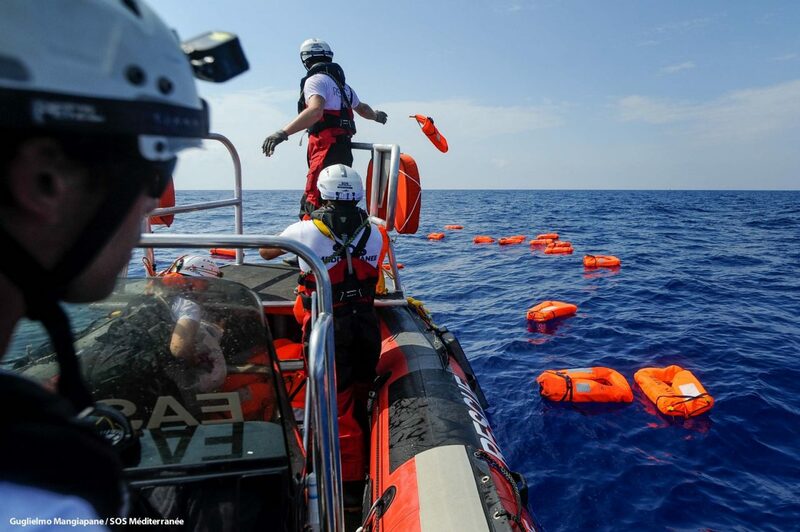 It then informs Aquarius via VHF that it is leaving the patrolling area without information about boats in distress. 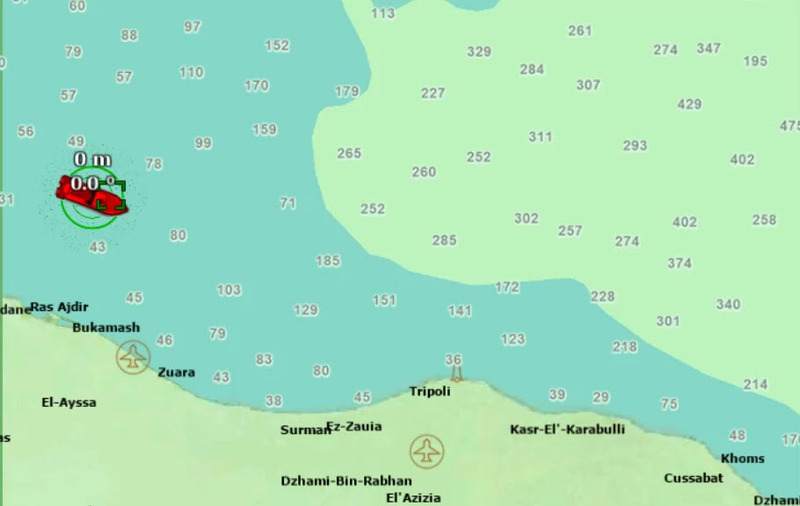 Colibri airplane calls Aquarius on satellite phone to inform that it will soon take off and conduct an aerial search over the zone West of Tripoli. 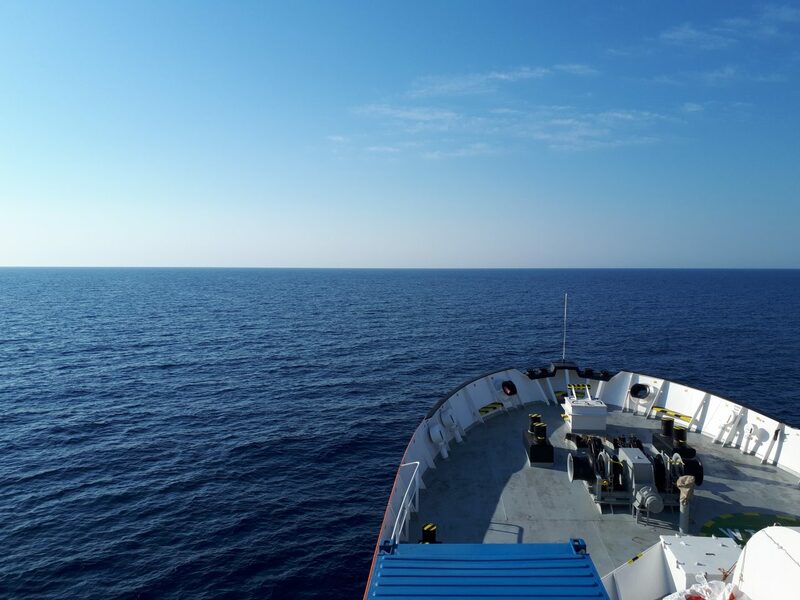 Aquarius provides present position and informs of good weather conditions. 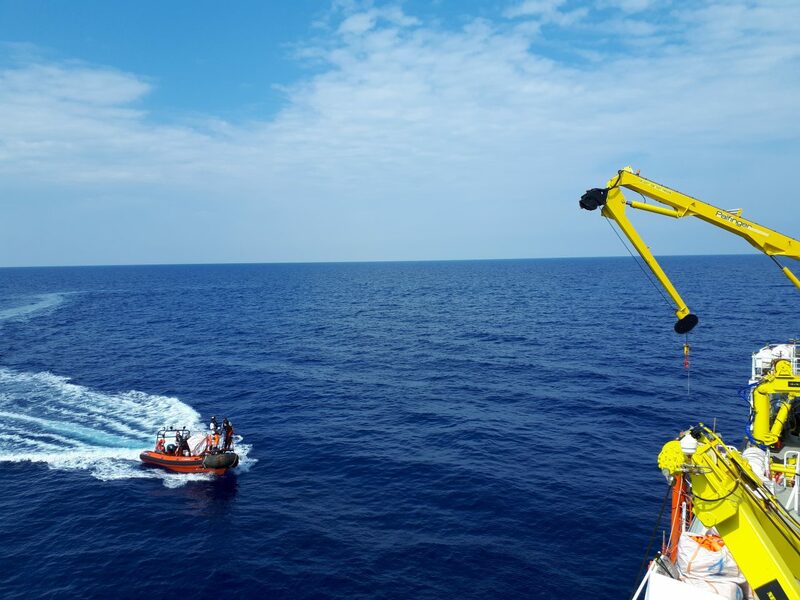 Aquarius stops engine to conduct an exercise with two RHIB, Easy 2 and Easy 3. 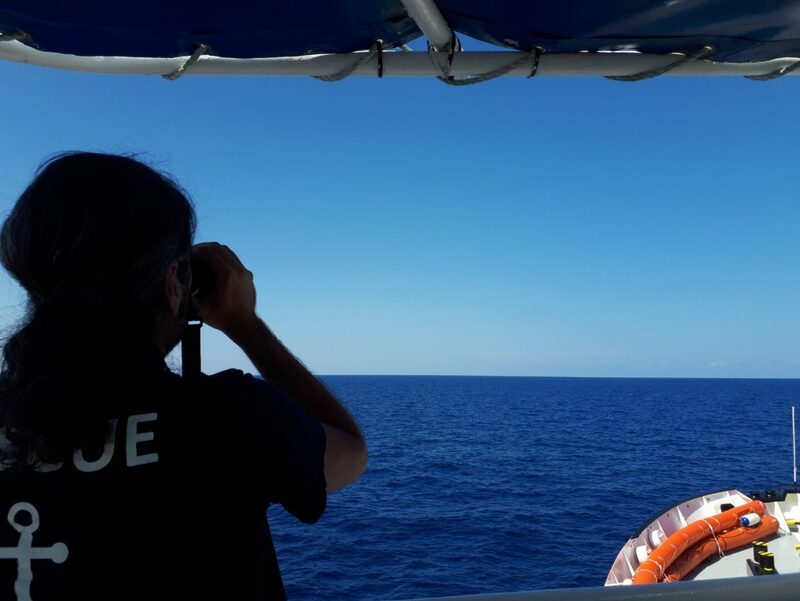 Through the binoculars, teams onboard Aquarius spot a potential target. 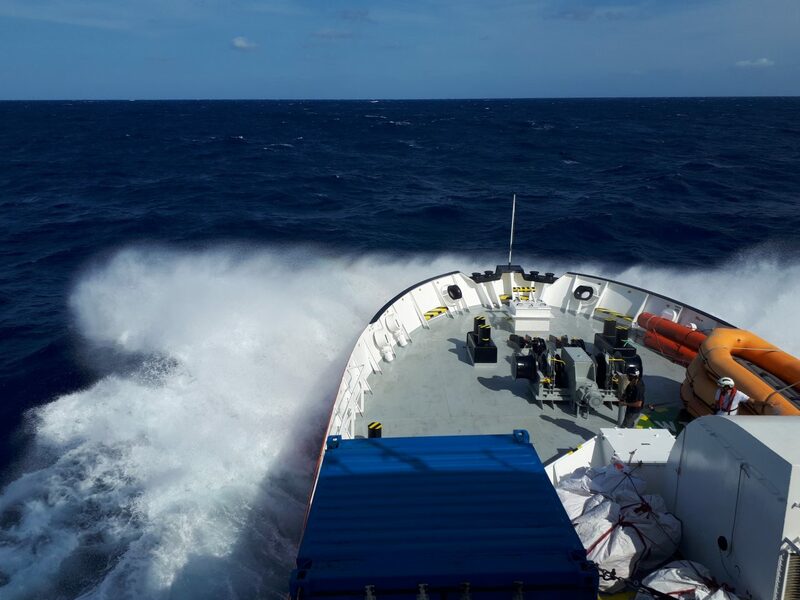 Aquarius starts running second engine to increase speed and investigate it. 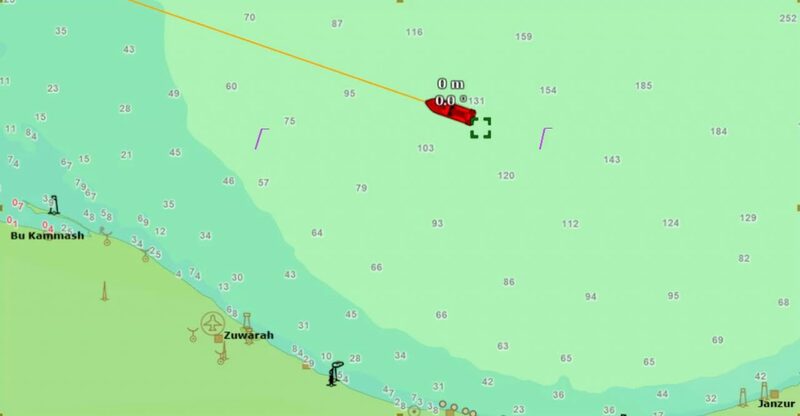 The target is eventually identified as a fishing vessel. 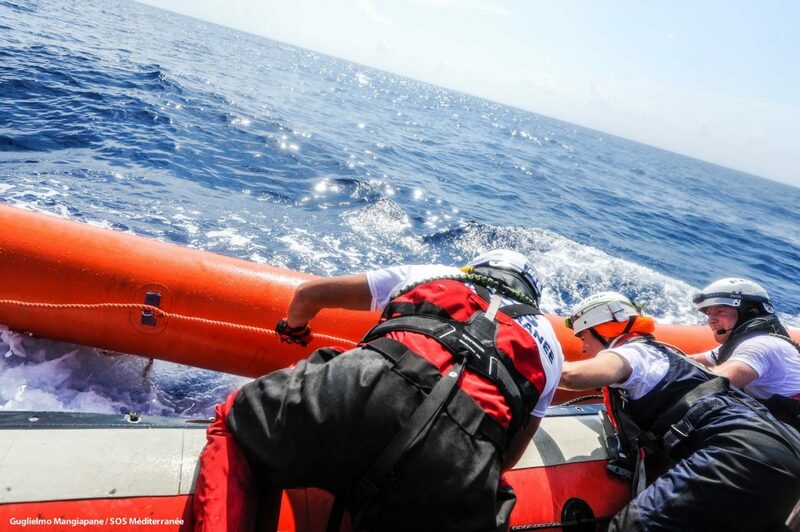 Aquarius receives a phone call from Colibri, asking for an update from Aquarius. 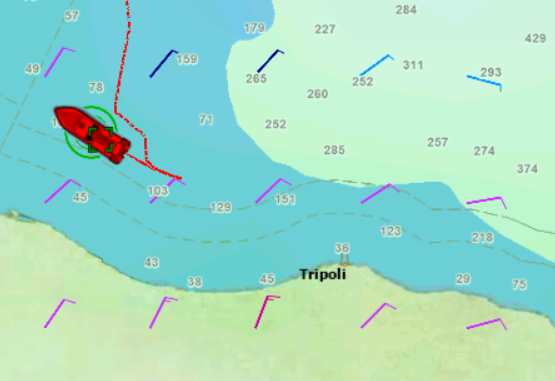 Colibri informs that it will take off soon, flying first in the area West of Tripoli and thereafter East of Tripoli. 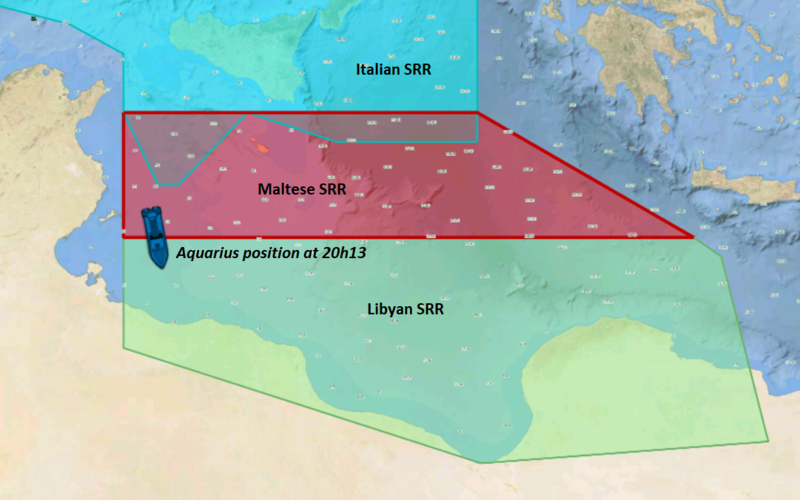 Aquarius provides current position. 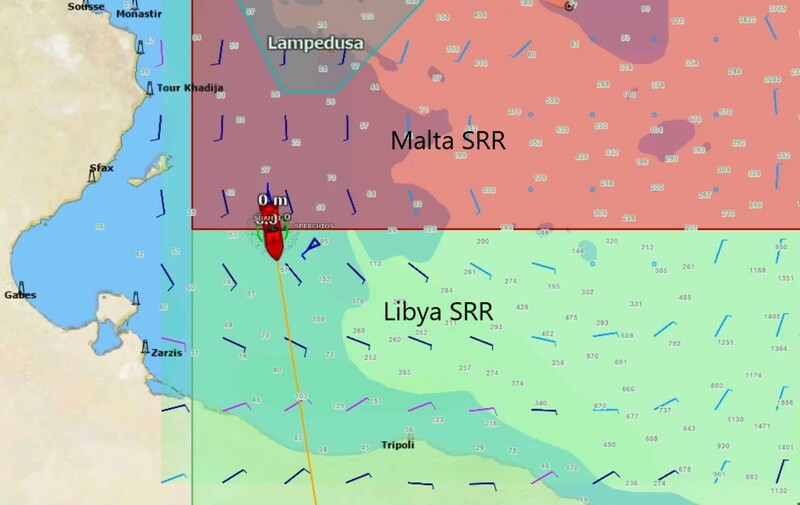 Upon entering the Libyan Search and Rescue Region, Aquarius sends a “notice of readiness for SAR operations” to the Libyan JRCC, copying the Italian MRCC, the Maltese MRCC and EUNAVFOR Med. 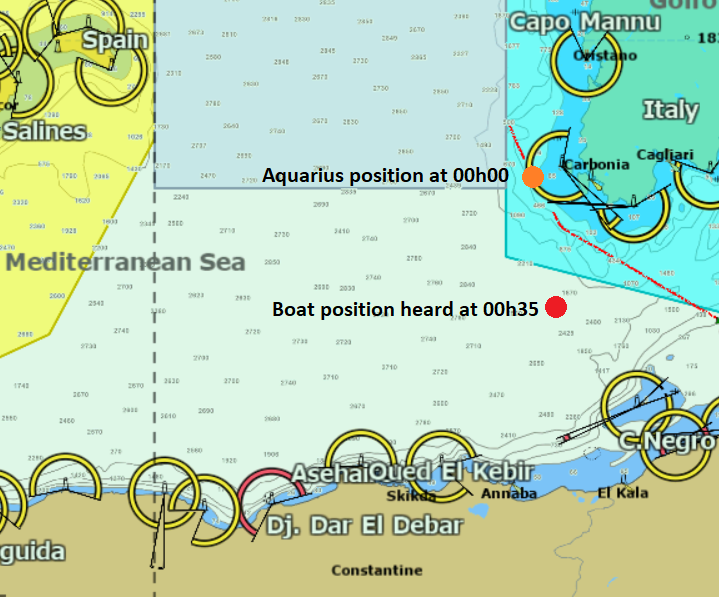 Aquarius also provides the required technical information about the vessel. 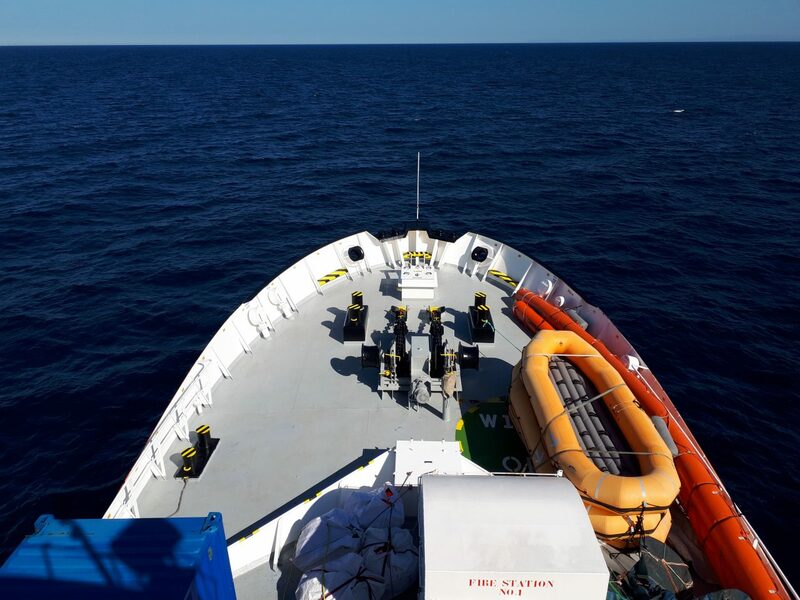 Aquarius stops to conduct a rescue simulation. 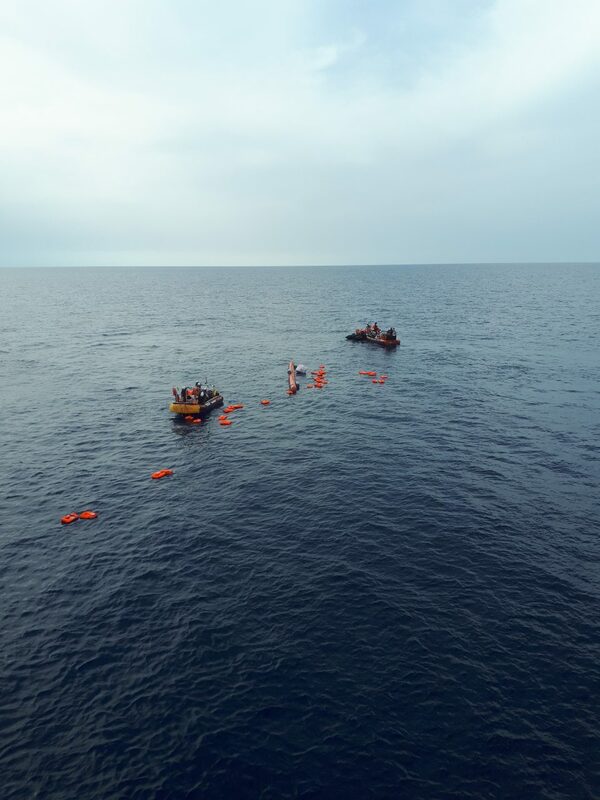 Three RHIB and mass floation devices (rafts and bananas) are launched in the water. 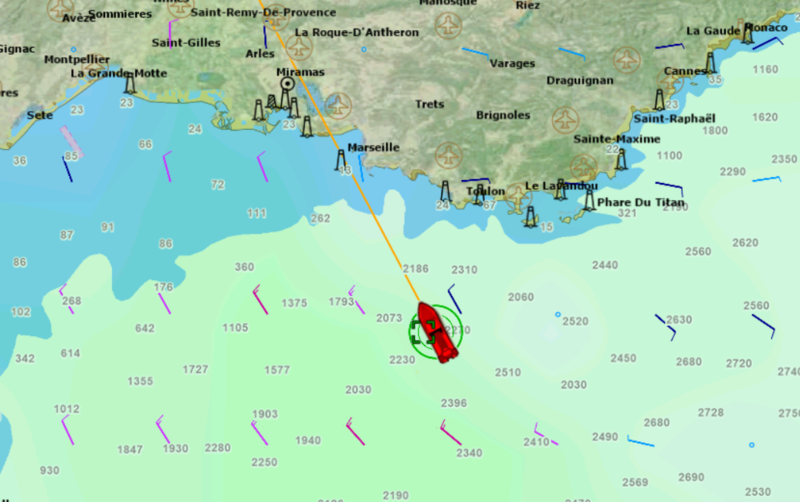 Navigation resumes at 18h25. 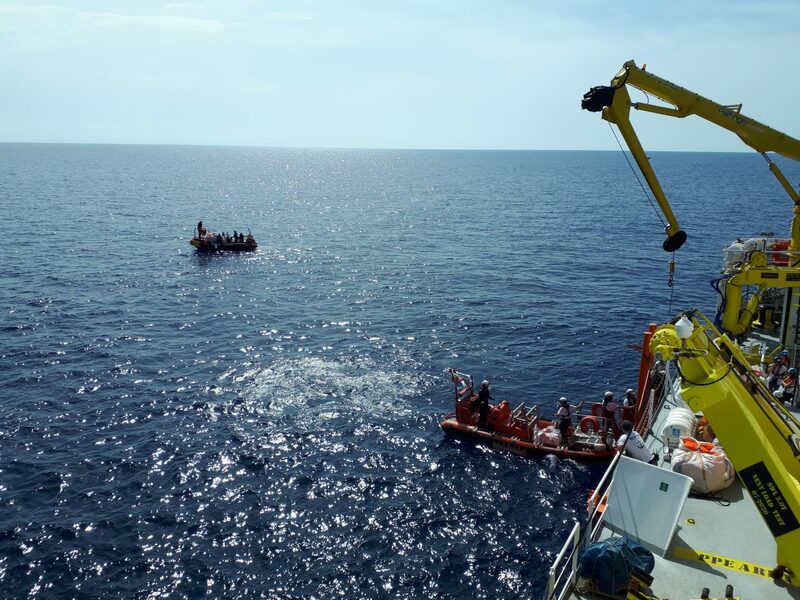 Aquarius stops sailing to conduct rescue drills, including familiarisation with mass floatation devices. 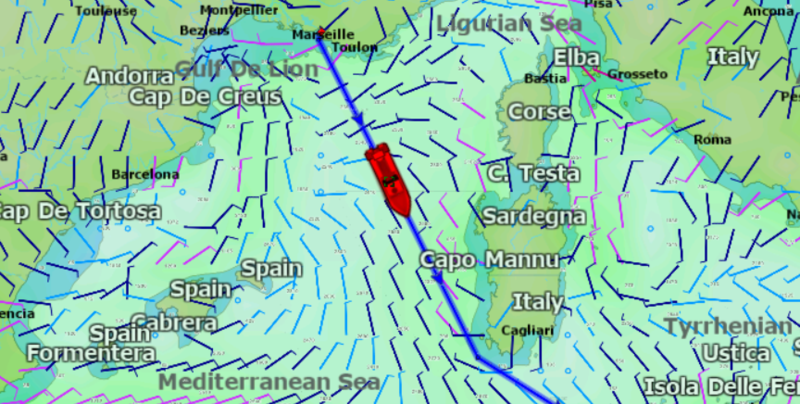 Navigation is resumed at 12h25. 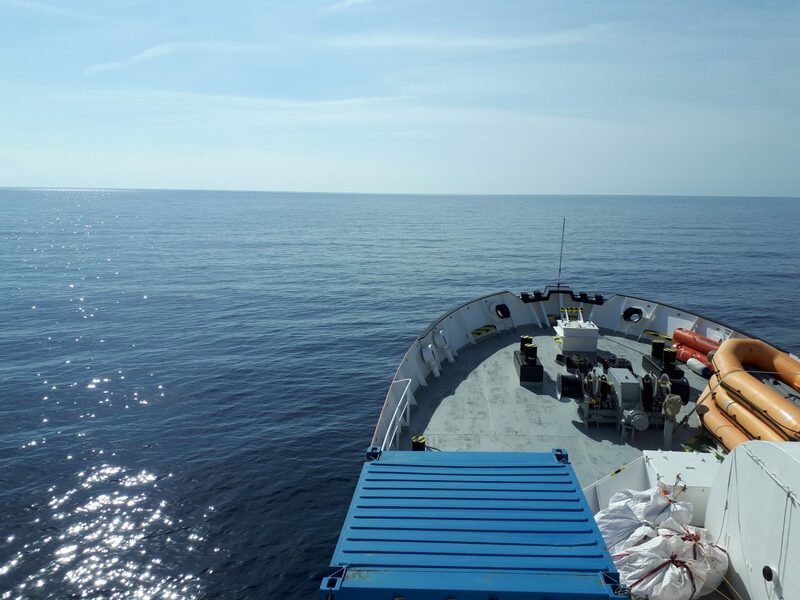 Aquarius shifts the berth from 110 to 66, for the installation of a 20 feet reefer container with a shore crane. 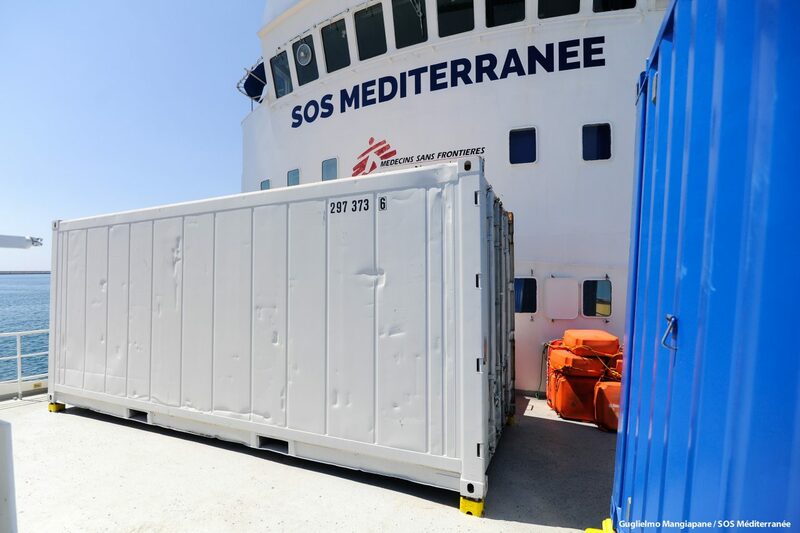 The container will be used as a morgue if dead bodies are recovered at sea. 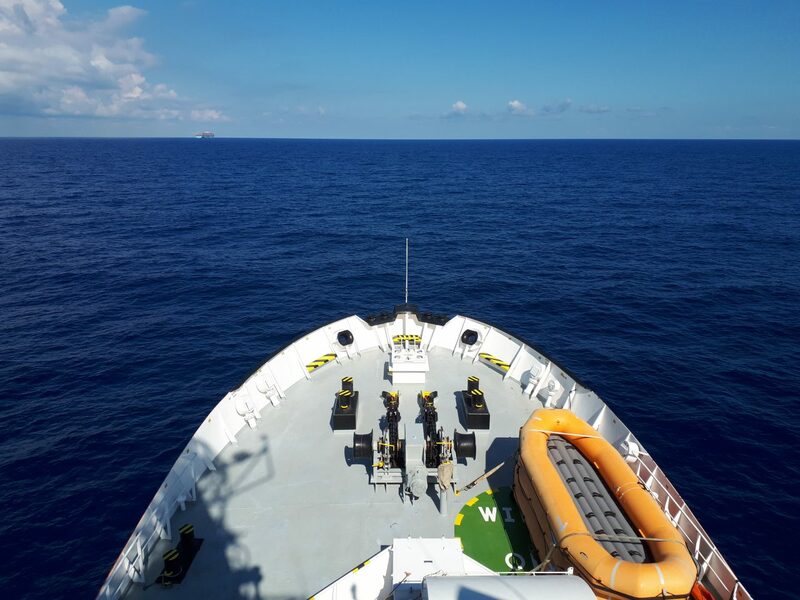 Aquarius is leaving the rescue zone and proceed to North for the technical portcall.